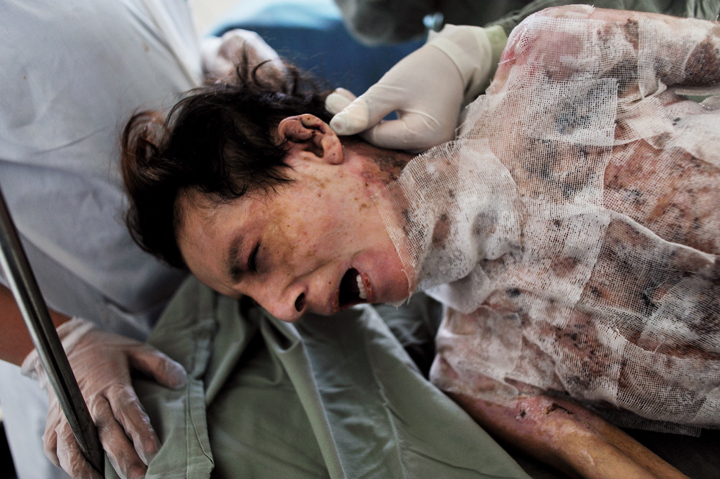 Hanife, 15, screams in pain as she has her bandages changes for the first time since undergoing skin graft surgery in the burn center of the Herat Regional Hospital in Herat, Afghanistan, August 3, 2010. Hanife tried to commit suicide by self-immolation after being beaten by her mother-in-law about fifty days prior. Hanife has been married about six months, and her husband is working in Iran to try to earn money for the family, and left her alone with abusive in-laws.